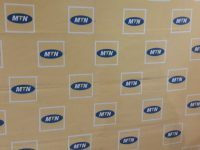 The Asantehene, Otumfuo Osei Tutu II has praised MTN-Ghana for providing efficient telecommunication services to the people of Asanteman. 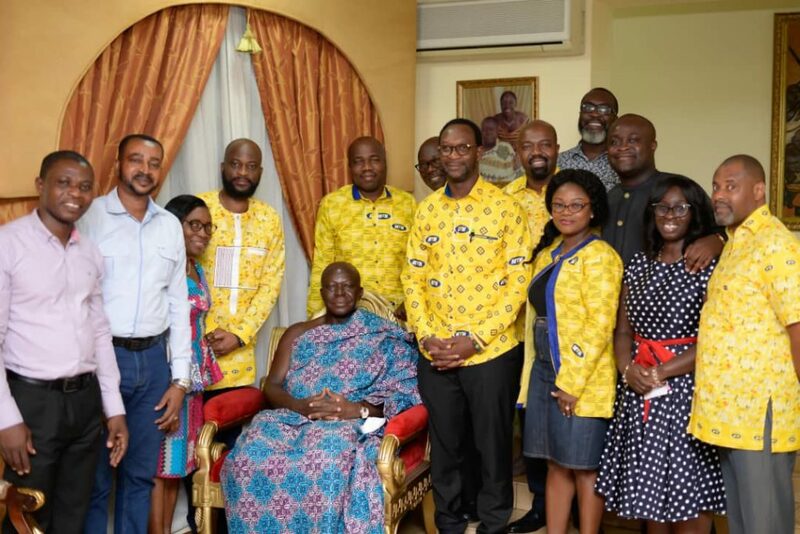 Speaking during a courtesy call by MTN CEO and some officials at his private office in Manhyia, the Asanteman Overlord said MTN has over the years ensured it gives quality service to its customers in the Ashanti Region. He noted that such service has so far made the company the choicest in the region. 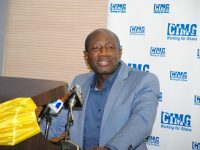 He urged the CEO and staff to work even harder to maintain the high standards it has set for itself in the country. ”I am proud of the excellent service you continue to give to the people of Asanteman and i urge that you relentlessly work to maintain such high standards you have set for yourselves”, the Asante King noted. 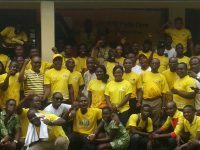 Otumfuo tasked management to remain loyal to the company by maintaing good corporate governance. He also asked for effective cooperation between management members and staff, noting that it is the catalyst to effectively delivery. 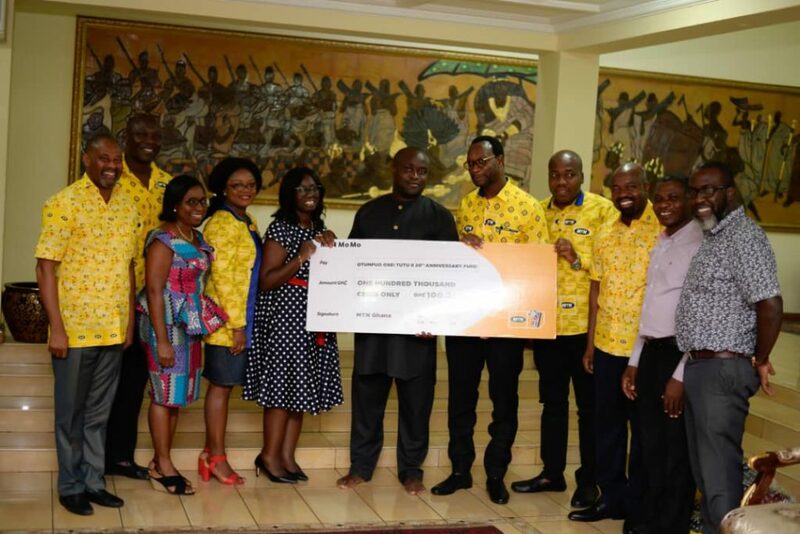 Otumfuo also commended MTN for showing support to Asanteman and the Manhyia Palace and rallied officials to show same loyalty to the brand they represent. 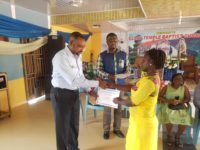 The Asantehene thanked the company for the cash donation of GHC100, 000.00 to support his 20th anniversary celebration. ” I am happy that despite your busy schedule as management staff, you as well as your CEO found time to see me and donate towards my 20 year anniversary as Asantehene”. The King noted heartily. 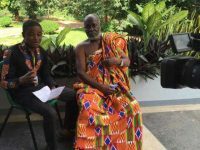 Speaking to media persons after meeting Otumfuo, Selorm Adadevoh, Chief Executive Officer for MTN Ghana expressed delight at the opportunity to meet the Asantehene. He said the King inspires confidence in people, adding MTN is proud to support Asanteman in its path of development. MTN, Mr Adadevoh noted considers the Ashanti Region as a crucial market and therefore takes pride in supporting initiatives aimed at celebrating its people. He noted the commitment of the company to supporting the development of Asanteman and the Asantehene. 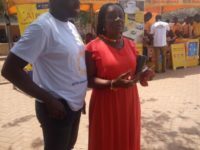 ”We at MTN considers ourselves as partners in the development of Asanteman and as such decided to give a token our King to aid in preparation towards the ongoing 20th anniversary celebration of his reign”, the CEO posited.